Windows 10 shows notifications and alerts from Windows Applications, Apps and System Notification in the Action Center. The Action Center will keep all notification sorted by time and app and will keep them in the overview till you clear the Action Center Notifications. 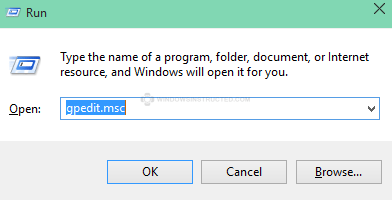 If you get a message that the program cannot be found, then your Windows version does not have Group Policy editor, it’s only included in Windows 8 Pro, Enterprise en Windows 10 Pro (and higher) skip to the registry edit method on the next page. If you rather use Registry Editor or don’t have GPEdit.msc then see the next page. 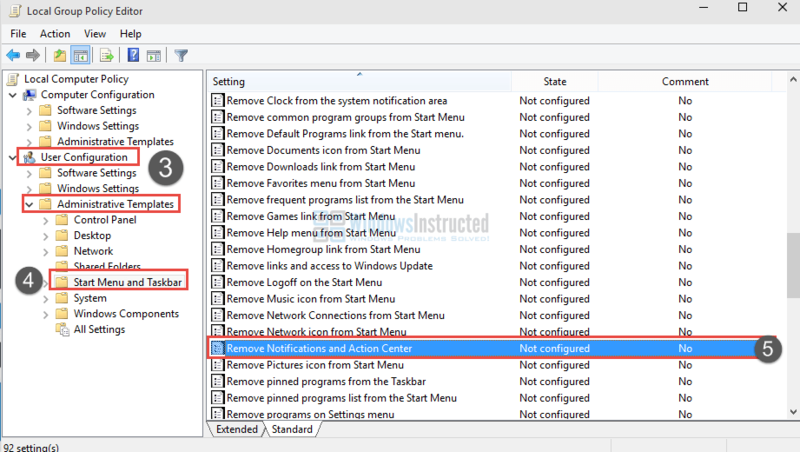 the print screens used to illustrate the method to enable/disable the action center do not correspond to what appears when I follow the steps given in the article. I think I finally got to the point where I was supposed to click on OK only to discover that I could not locate the OK button! A very frustrating exercise in futility.